Startups sometimes ask me why they should start running Design Sprints and which benefits will they bring to them. They already work in an agile environment, they adopted a very lean mindset and their development cycles are relatively short. I always tell them that Design Sprints are not meant as a substitute to their current way of working. 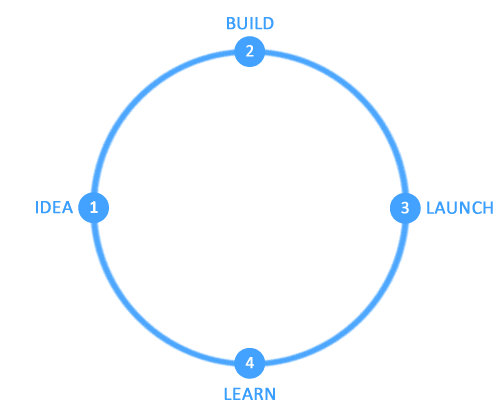 In a Lean startup cycle we start with an idea, we built it and then we launch it to the market. Only on that moment, when our product is finally in contact with our customers, we can measure its performance and know whether our idea is good or bad. Regardless of whether it was successful or not, our team takes home something: knowledge. A knowledge that they will be able to use in the next iteration of the development cycle. Let’s now have a look at it in a bit more detail. Our idea is the result of an intuition. Most startups CEOs know what it means. “I have an idea! I will start a startup!”. Or maybe they already have a startup and a product too and they want to add some new feature. 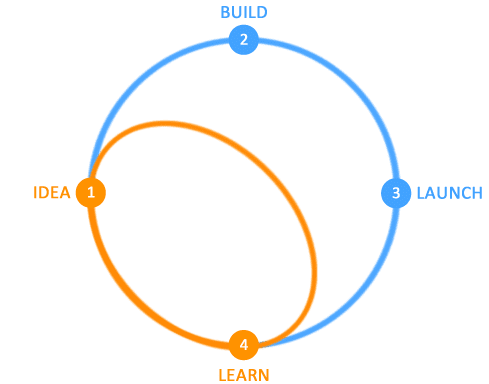 Why do we decide to build our idea? Because we formulate an hypothesis, which is that your idea is valid, that it will be successful and we will become rich. When we start building our idea we don’t know if it is valid yet. That is, just an hypothesis. 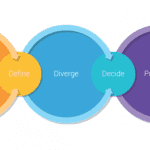 It does not matter if it is backed up by market research, examples of similar technologies or products that already work or even by what we already learned from a previous iteration. Until we launch our product, we cannot know if our hypothesis is true. That means that between our idea and its launch, inevitably, a period of uncertainty begins. A period that, however short, will appear quite long to you and your team. 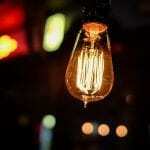 You are spending time and energy in your idea without knowing whether it will make sense to your customer. You cannot provide an answer to all these questions until you are able to measure the reaction of the market to your idea. 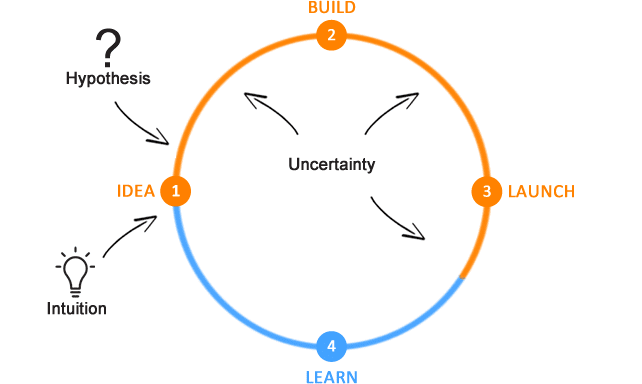 So, how does Design Sprint fit into this cycle? 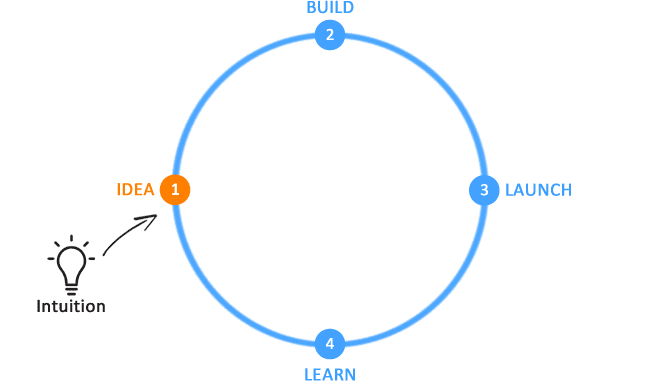 Design Sprint is a shortcut that allows us to go from the idea to learning without actually building anything. 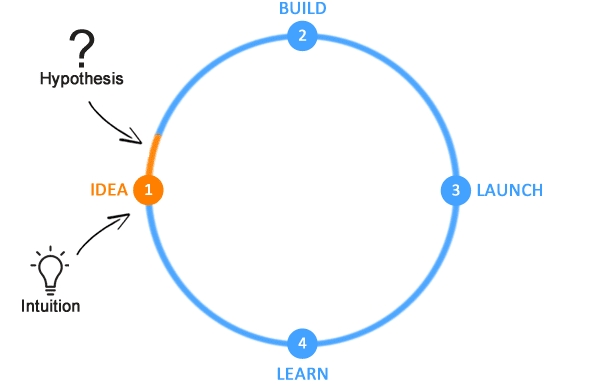 Thanks to fast prototyping and immediate user validation, Design Sprints allow any startup to learn fast without spending resources. No, they don’t, but Design Sprints drastically shorten the time needed to get an answer from the customers and, hence, they reduce the risks of making bad decisions as we get an initial validation in just five days. We are certified Sprint Masters. We’ve been running Design Sprints for projects of all kind. Contact us if you want to discover how Design Sprints can help your project.